Dracula was one of my favorite books to read as a child. Growing up I wasn’t introduced to the classics, thanks to the Accelerated Reading Program in the 4th grade through the 7th grade, and the books I desired to read the most I was discouraged by my teachers. Bram Stoker’s Dracula captivated me at a very young age. I read it when I was 9 years old and while it scared me I found it exciting and wanted to read more stories like it! I did branch out and read several Sherlock Holmes and eventually made my way to some Jane Austen books. But I will always remember the first book that plunged me into a world of wonder, mystery, suspense, and imagination! 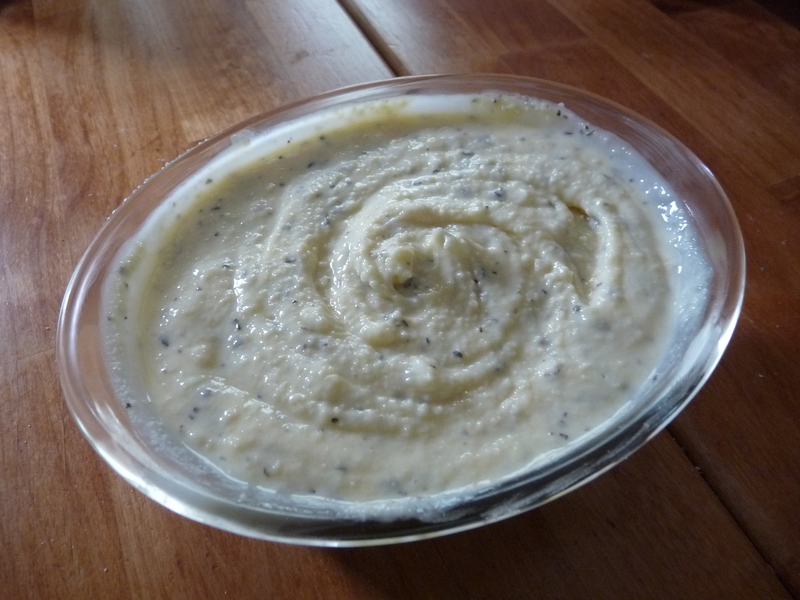 However, if you want something that will surely ward off Dracula then try this homemade garlic butter! You can make as little or as much as you need, for a family of five we make a pound of garlic butter because it’s so versatile! Not only do we use it to make garlic bread, but you can add it to pasta, cook up some garlic chicken, top off your juicy steaks, add it to creamy sauces, spread it on pizza crusts before adding your favorite pizza sauce, and you can dip breads in it alongside some dipping oils. Whatever you decide to use it for, good or evil, there is no doubt that Dracula won’t be able to stand the intense aroma! 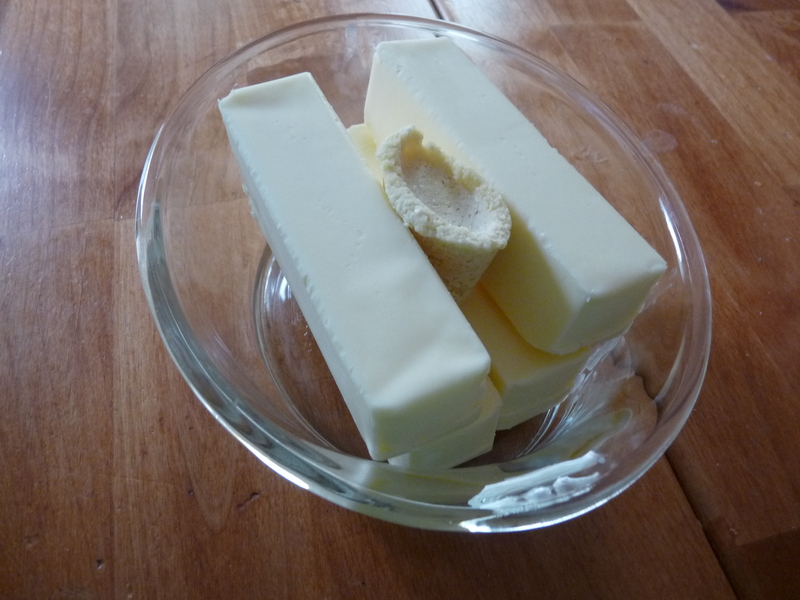 In a microwave safe dish, soften 4 sticks of butter and 1 cube of garlic*. Nuke for 1 minute or less depending on your microwave. 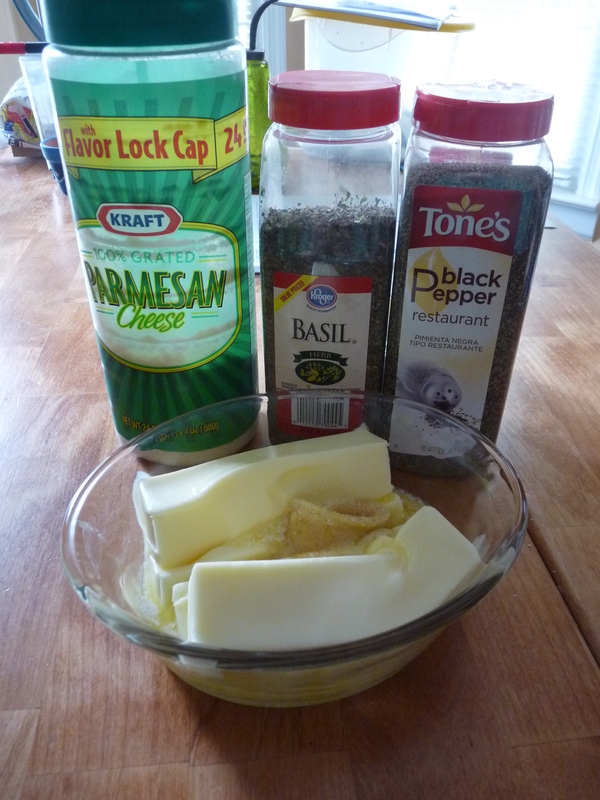 *Note: 1 cube of garlic is roughly equivalent to about 5–6 cloves of minced garlic. Slightly more if you use small to average size cloves. 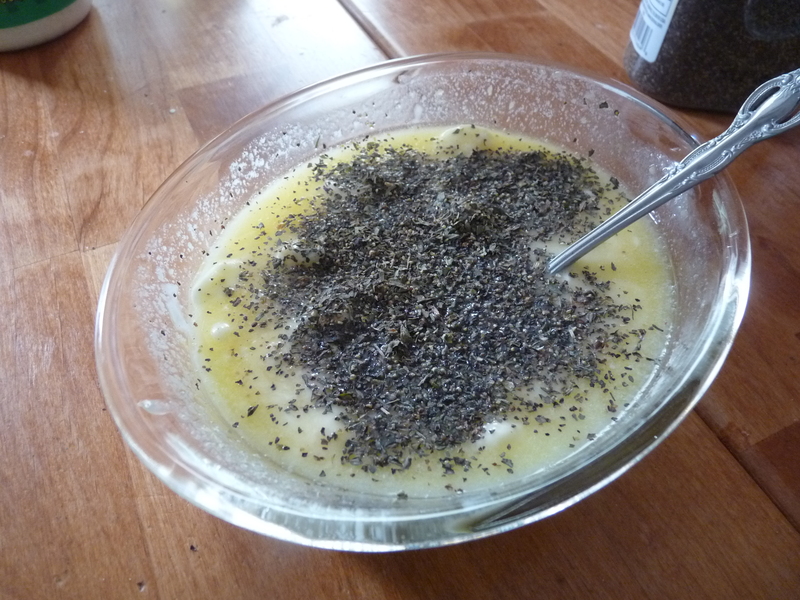 This is the basil and pepper picture. I like to get liberal with it, you can use as much or as little as you like. I like to do enough of both so that it pretty much covers the top. Stir it in as best as you can. 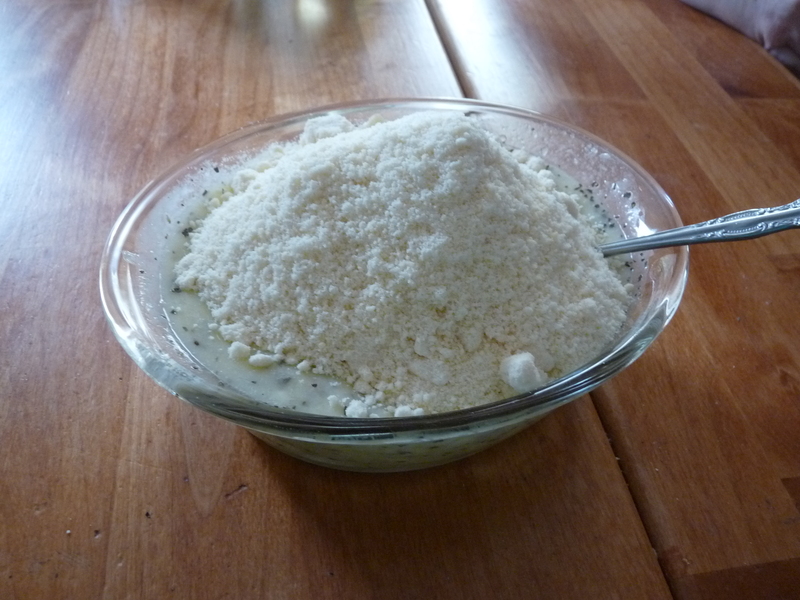 And then you add the cheese! Oh yes, pour it on 🙂 If I had to guess, that’s about 1 1/2 – 2 cups of parmesan cheese. Stir carefully. 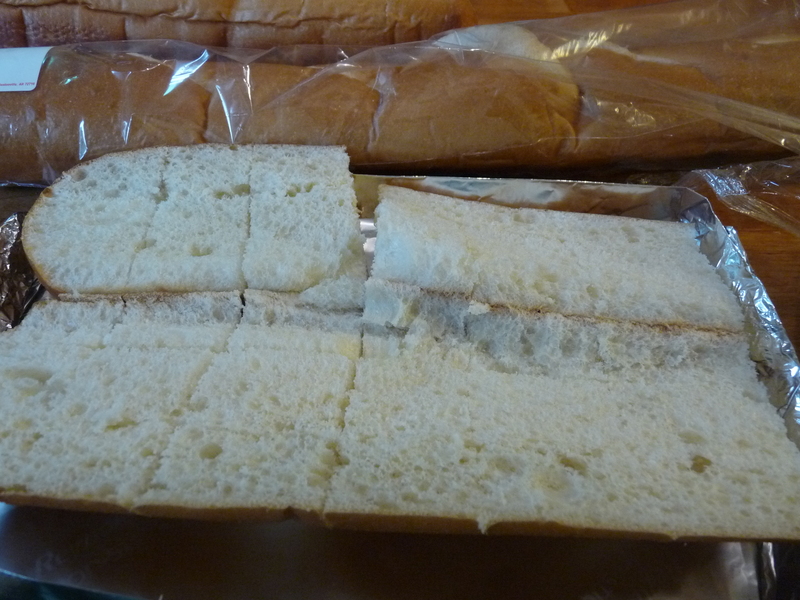 I like to use extra long loaves of bread, slice it in half, and score the inside into slices. This makes it easier to tear after it’s baked. 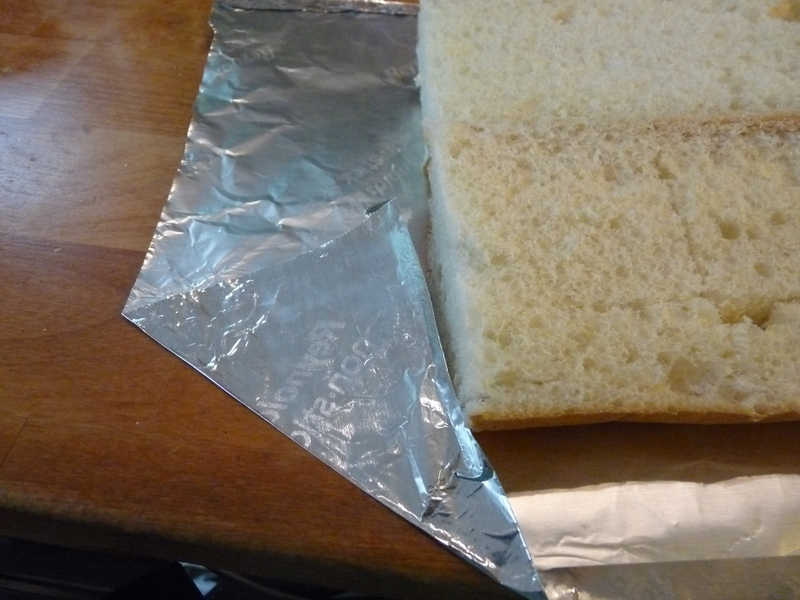 Now you can bake this one of two ways: line a baking sheet with Release Foil or you can make a foil bake sheet like this. 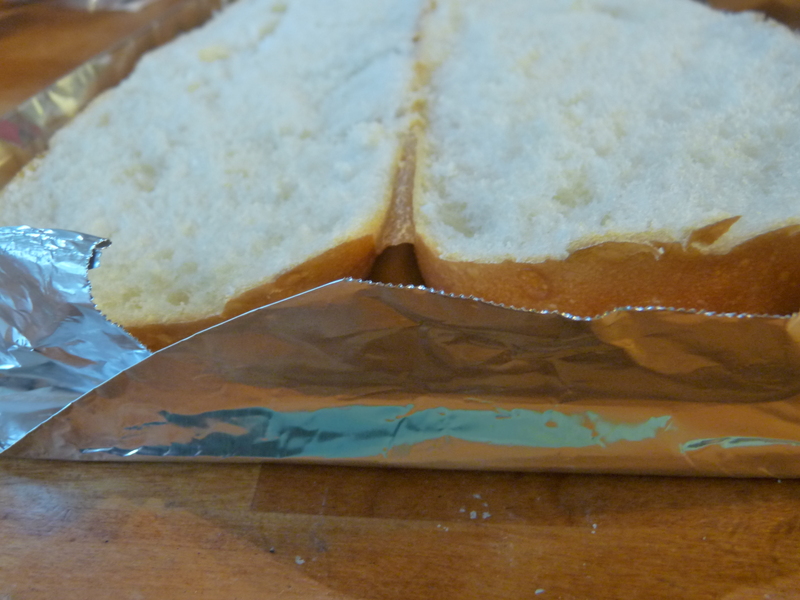 Shiny side down, place scored bread on foil, take the corner end and fold it toward the bread like so. You’ll repeat this step on the opposite side as well. See…both corners are now folded in, kind of like making a paper airplane. Fold up the end, this will create a boxed end. 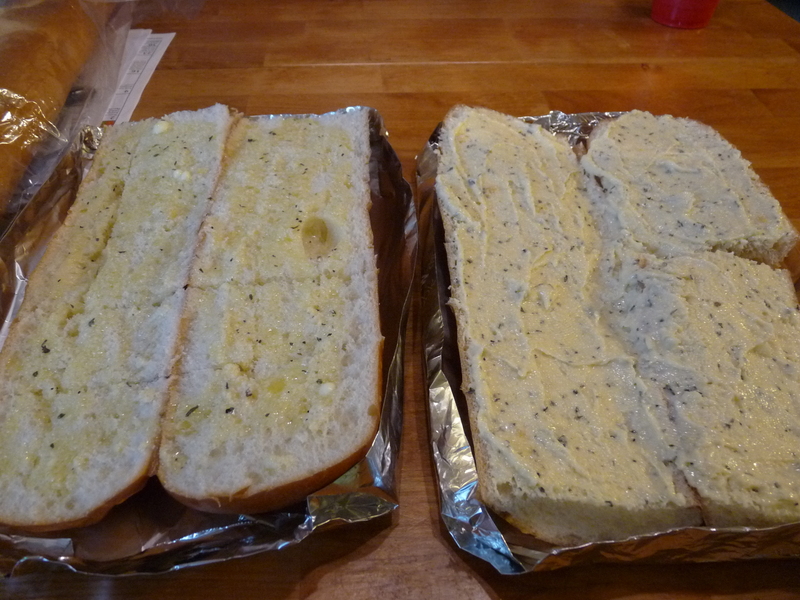 Then you’re free to spread some garlic butter over each half. Bake in a 350 degree oven till it’s browned or to desired doneness. 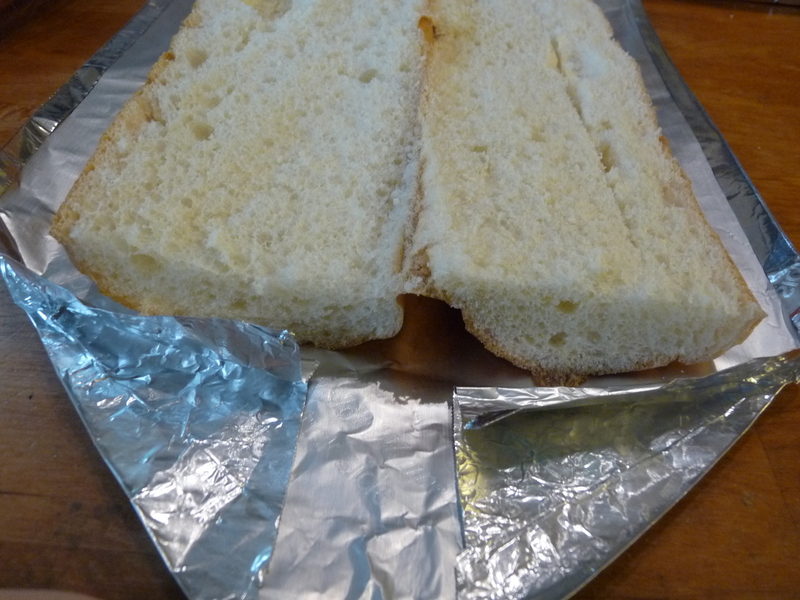 This freezes well too, make up several loaves slathered in garlic butter, wrap in plastic wrap and freezer paper. Thaw and bake as normal. Bon appetite! For additional reading on the history of garlic, click here. Night Owl Kitchen • This entry was posted in Recipes and tagged Bram Stoker, Bread, Dracula, Garlic, Garlic bread, Jane Austen, Parmigiano-Reggiano, Sherlock Holmes. Bookmark the permalink.